(CBS News) Treatable infections lead to two million cancer cases each year worldwide, a new study suggests. Out of 7.5 million people who died of cancer across the world in 2008, about 1.5 million were due to preventable and treatable infections such as human papillomavirus (HPV) and hepatitis C (HCV). "Infections with certain viruses, bacteria, and parasites are one of the biggest and preventable causes of cancer worldwide," study authors Dr. Catherine de Martel and Dr. Martyn Plummer, scientists from the International Agency for Research on Cancer in France, said in a written statement. "Application of existing public-health methods for infection prevention, such as vaccination, safer injection practice, or antimicrobial treatments, could have a substantial effect on future burden of cancer worldwide." For the study, researchers calculated the proportion of cancers caused by infections by reviewing statistics on 27 types of cancer from 184 countries. They found 16 percent of all cancers worldwide were infection-related, with rates about three times higher in developing countries. For example, 3.3 percent of cancers in Australia and New Zealand were infection related, while 32.7 percent in sub-Saharan Africa were due to infectious agents. The four main infections associated with cancer were HPV, hepatitis B and C, and Helicobacter pylori (which infects the stomach). Those four infections in particular are responsible for an estimated 1.9 million cancer cases each year, including gastric, liver and cervical cancers. In women, cervical cancer accounted for 50 percent of the infection-related cancers; in men, liver and gastric cancers accounted for more than 80 percent of cancers caused by infections. 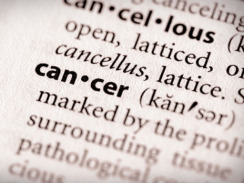 The study is published in the May 9 issue of The Lancet Oncology. "One thing that infection-associated cancers have in common is that a chronic infection is required," Plummer told Fox News. "It takes decades for an infection to progress to cancer." In an accompanying editorial in the same journal, Dr. Goodarz Danaei, an assistant professor of global health at Harvard School of Public Medicine in Boston wrote, "Since effective and relatively low-cost vaccines for HPV and HBV are available, increasing coverage should be a priority for health systems in high-burden countries." The HPV vaccine is recommended for all 11 or 12 year old girls, and women who did not receive it during that time can get it until they are 26. In February of this year, the CDC also recommended the shot for all males between the ages of 11 and 21, HealthPopreported. Dr. Otis Brawley, chief medical officer of the American Cancer Society, who was not involved with the research, told CNN, "The more people you vaccinate, male and female, the more likely you are to get a population that doesn't have the disease."